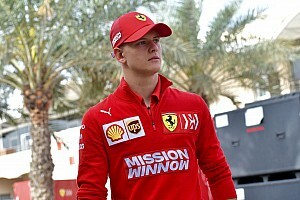 Ghiotto finished second to Leclerc in the 2017 Bahrain sprint - the Monegasque charging through the field on an unconventional one-stop strategy - and has now made the same approach work for his first win in 2019. 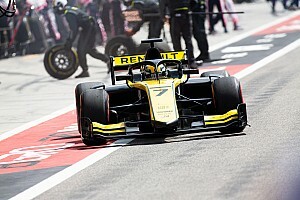 The Italian quickly rose from seventh on the grid into the lead on lap four of 23, and built a gap of over five seconds over the DAMS pair of Sergio Sette Camara and Saturday winner Nicholas Latifi. Ghiotto then pitted at the end of lap 12, giving himself 10 laps to reel in a gap of over 20 seconds. His initial pace didn’t look threatening, but he soon came into his own and overtook Latifi and Sette Camara on consecutive laps to lead on lap 21, as the DAMS duo had committed to staying out on used rubber. Ghiotto’s UNI-Virtuosi teammate and Renault junior Guan Yu Zhou pulled off a brilliant drive to take fourth from 10th on the grid, having struggled in qualifying and the feature race on his debut F2 weekend. Carlin driver Louis Deletraz was part of a trio – with Nyck de Vries and Jack Aitken – who engaged in battle at Turn 4 on lap one, with cars littered all over the track. Deletraz recovered well, battling and passing pole-sitter Mick Schumacher of Prema in the closing laps for fifth place. Ferrari junior Schumacher led from pole but lacked the pace of his more experienced F2 rivals and fell back quickly. Schumacher held on ahead of de Vries in seventh, the ART Grand Prix driver having pitted but not managing to reclaim the fourth place he’d given up. Jordan King took eighth, despite being hit by Juan Manuel Correa of the Sauber Junior Team. 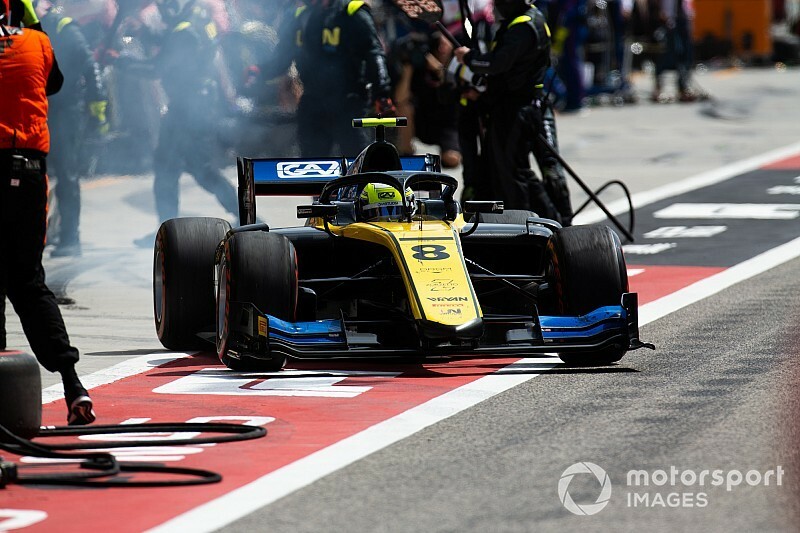 Anthoine Hubert was the star of the feature race with Arden taking fourth, but his late pitstop didn’t proffer the pace he expected and he took ninth in the sprint race - ahead of Schumacher's Prema teammate Sean Gelael, who was another driver to pit mid-race. Front-row starter Jack Aitken fell to 11th with Campos Racing.